The reconstruction of Highway 628 west of Edmonton is a relief for the mother of a man who died in a collision along the highway, but she worries about safety in the meantime. New plans for Highway 628, west of Edmonton, is encouraging for Parkland County officials, but the timeline worries a mother whose son died in a single-vehicle crash on the rural road. A 15-kilometre section of Highway 628 from Campsite Road to Edmonton's city limits will be realigned and rebuilt, the province announced Thursday. Land purchase and relocation of utilities is expected to begin this year, but construction wouldn't start until 2021. The project could take four to six years. The province has not said how much the project will cost. Kirsten MacNeil stands next to small, faded cross along Highway 628 near Range Road 271. The name Luke is written across it, as a memorial for her 21-year-old son who died near the spot in July 2017. Luke MacNeil veered off the road in his vehicle and hit a tree. His mother believes he tried to avoid an oncoming vehicle and lost control along shoulder of the dirt road. Since Luke's death, Kirsten has been campaigning to have the road rebuilt. "It's been terrible. I contacted everyone I could from the minister to the MLA to the mayor's office," she said. "No other family should have to go through what I've gone through, what my family has gone through and what I still go through everyday." She's happy with the project, but worries about the safety of drivers on the road in the next few years before construction starts. Michele Kleijnen lives beside the spot where Luke MacNeil went off the road. She wants to see a temporary remedy such as adding asphalt over the dirt road. Visibility can be a problem in the summer months when vehicles kick up dust, she said. "It's great that they're making these promises," Kleijnen said. "However, we need some immediate safety right now until the other road does go through, because we've been waiting 20 years already." 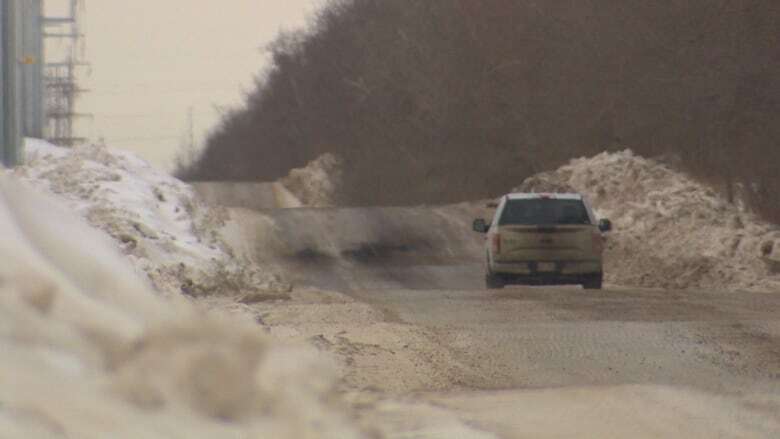 Parkland County has been pushing for the highway to be fixed for 15 years, said Mayor Rod Shaigec. The highway is used primarily by people living in Spruce Grove, Stony Plain, and Enoch Cree Nation. About 5,000 vehicles use the highway each day. "It has been on and off the Alberta Transportation three-year project list a number of times, so to finally have it recognized as an important regional project is very encouraging for us," Shaigec said. "There was three deaths in 2015, a number of serious accidents as well ... so safety is a primary consideration for this, he said. "The contribution that's going to make to the local economy as is certainly important as well."